We, the Gulf Centre for Human Rights (GCHR), are writing to you in relation to the case of Emirati human rights defender Obaid Al-Zaabi. We have received information that he is being kept in incommunicado detention in the prisoners’ ward at Shiekh Khalifa hospital. This is despite the fact that on 26 May 2014, the Federal Supreme Court in Abu Dhabi, declared him to be innocent of charges brought against him. We welcomed the verdict of the Supreme Federal Court. The charges against Obaid Al-Zaabi, of which he was found innocent, solely related to the legitimate and peaceful exercise of his right to freedom of opinion and expression. They included "setting up a Twitter account”, “networking and dissemination of information that incite hatred" , "accusing State Security Apparatus of torture" and "accusing rulers of UAE of injustice ". We call on you to ensure that Obaid Al-Zaabi is released and no longer detained as he has now been cleared of all charges against him and as such no legitimate basis remains for his detention. We understand that he is in poor health, suffering from advanced arthritis, and express serious concern for his well-being, both physical and psychological while he remains in incommunciado detention in clear violation of his basic human rights guaranteed by international law. He was arrested in December 2013 in Abu Dhabi immediately after he gave an interview to CNN during which he commented on the case of a young American, Shezanne Cassim who was jailed in the UAE for making a parody video with his friends. He was arrested previously in July 2013 in relation to posts he made on Twitter in support of the UAE 94 before being released over a month later. 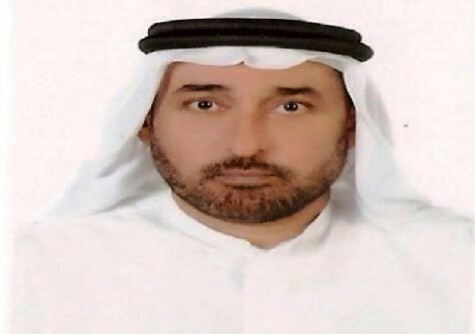 The GCHR expresses concerns that Obaid Al-Zaabi and other human rights defenders are being targeted simply for peacefully exercising their right to freedom of expression, opinion and belief. We urge you to ensure that Obaid Al-Zaabi is released immediately as no grounds exist for his detention constituting a gross violation of his human rights. Guarantee in all circumstances that all human rights defenders in UAE are able to carry out their legitimate activities without fear of reprisals and free of all restrictions including judicial harassment.